There’s no argument that it’s a major blow to your case if the other driver doesn’t have insurance. However, there may be other parties that can be held liable for your injuries. One option is if the driver didn’t own the vehicle they were driving. In certain situations, the owner of the vehicle may be held liable for the accident if they had reason to know that the driver would drive negligently and likely cause an accident. For example, the owner of the vehicle may be held liable if he lent the car to someone whose license had been revoked. In cases where the at-fault driver was intoxicated, you may be able to hold someone else liable under Georgia’s Dram Shop Act. In those cases, the person who was serving the alcohol may be held liable if they knew that the person was intoxicated and planned to drive. If the other driver doesn’t have insurance, you may be able to make a claim against your own insurance policy if you purchased uninsured motorist coverage. These claims can be very complicated, and you may need an experienced personal injury attorney to help you make your claim successfully. If you’re not sure whether you have uninsured motorist coverage, and experienced personal injury attorney can review your policy to help you understand what is covered and what is not. Even though they don’t have insurance, there is a chance that the other driver may have other substantial assets. They may have simply forgotten to pay their premiums and the policy lapsed, or they don’t want to pay for insurance because they are high risk. The bottom line is that you shouldn’t assume they have no ability to pay your claim just because they don’t have insurance. That said, it’s often the case that the uninsured driver won’t be able to pay your claim. You may still be able to get a judgment against them, and you can then use the judgment to collect on your claim in the event that they come into money in the future. If they own a home, the judgment can also attach to their real property and prevent them from selling without paying your claim. 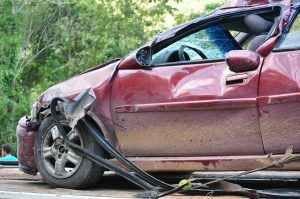 Cases where the at-fault driver doesn’t have insurance are undoubtedly complicated and require an experienced attorney who won’t give up until you get the compensation you deserve. With over 30 years of experience, our lawyers can help you sort through these issues and get you the best possible resolution. If you would like to discuss your options with one of our attorneys, call us at 888-474-9616 or send us an email to schedule a free consultation.